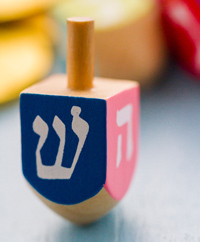 We know that the ‘shin’ and the ‘peh’ are different on the dreidel, but beyond that? What are the significant differences between the Hanukkah songs we sing in North America, and in Israel? A text/song study for your free use.